Building professionals. Our foundations are the professional relationship between company and clients, constructing a solid team for your dream project. 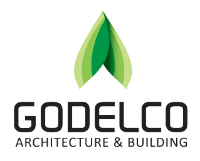 Through years of building high end homes in Costa Rica Godelco had developed a resourceful and professional team with a strong goal of becoming the best builder in Costa Rica. Our clients dreams are our main focus, making a reality out of them exceeding every expectation, is our workfield. We customize our designs tailored to fit your needs. Contact us for your construction needs.